Senior Housing News is pleased to announce the nominees for consideration in the third annual Architecture & Design Awards, sponsored exclusively by senior living furniture provider Kwalu. More than 60 communities nationwide submitted their new construction and renovation projects, each vying for top honors across seven categories: Affordable, Assisted Living, Continuing Care Retirement Community (CCRC), Independent Living, Skilled Nursing / Post-Acute Care, Stand Alone Memory Care, and Renovation / Repositioning. “The SHN Architecture & Design Awards highlights the best of today and tomorrow’s senior housing communities across the country. 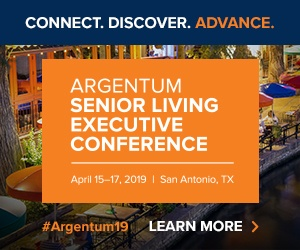 Each submission represents incredible insight into the minds of not only residents in those communities, but also the minds of the owners, operators, developers and capital partners that all have a stake in the future of senior living,” said George Yedinak, founder of Senior Housing News. Projects will be judged by a panel of industry experts who will evaluate nominees based on design and aesthetic criteria. Not only will judges analyze design elements such as color, light and landscape architecture, but they will also consider community functionality by analyzing key features that are critical to property type, such as universal design techniques. Winners will be announced Dec. 16. A leading furniture provider to the U.S. senior living industry, Kwalu designs its products with a keen focus on sustainability for the future, while also keeping in mind changes in consumer preferences—strategic goals that aligned with the company’s desire to exclusively sponsor this year’s Awards competition. “Our choice to sponsor stems from how aligned these goals are with our own company values that focus on ingenuity and ongoing innovation to enhance the dignity and wellbeing of seniors. We wish the best of luck to all the entrants in this year’s competition,” Zusman said. The Senior Housing News Architecture & Design Awards recognize cutting-edge design, excellence and innovation in senior living. Returning for its second year, the annual awards contest celebrates unique projects and companies that are improving the lives of seniors through innovative design. Visit http://www.shnawards.com for more information about this year’s contest.